Below is a sampling of programs we will be operating in the near future. Most of them are exclusive to our client organizations, but opportunities to book directly with the Criterion office do occasionally arise. Availability will be noted. To be among the first to know when a program becomes available, please scroll to the bottom of the page and subscribe to our email list. Enjoy some of the loveliest islands and national parks in Central America on a 10-day voyage aboard the refurbished Hebridean Sky to Costa Rica, Panama, and Colombia including a daytime transit of the Panama Canal. 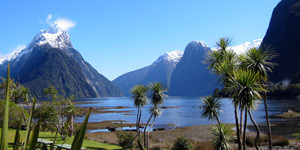 Enjoy up-close access to the towering granite cliffs and tumbling waterfalls of Milford Sound and remote Stewart Island, plus Maori tribal dances, bubbling thermal mud pools, and some of the world’s rarest wildlife. 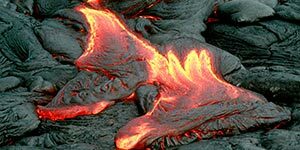 Enjoy special access to observatories and research facilities on Maui and the big island of Hawaii while spending time exploring the islands’ many natural wonders with local naturalists. 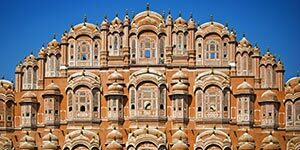 The best of India: Delhi, Jodhpur, Udaipur, Jaipur, Varanasi, the Taj Mahal, and Ranthambore and Keoladeo Ghana National Parks. 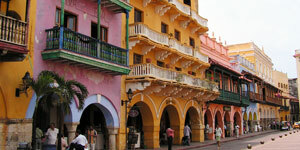 Visit majestic palaces, experience diverse cultures, and marvel at vibrant local colors. 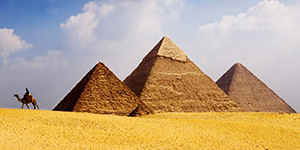 See the iconic pyramids in Giza, visit the stunning temples at Abu Simbel, delve into the tombs of the Valley of the Kings, marvel at the Great Dam at Aswan, and view the immense riches on display in the museums of Cairo and Luxor as you explore the remnants of the glorious age of the pharaohs. 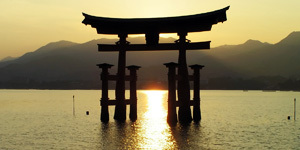 Venture beyond the major cosmopolitan cities to a fascinating variety of tranquil historic towns, artistic centers, and remote islands bookended by time in Kyoto and Tokyo. 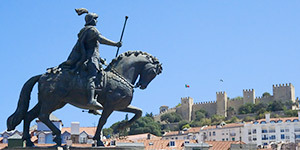 Soak up the rich history of the Iberian Peninsula beginning with the stunning Alhambra palace, continuing to Lisbon and Porto along Portugal’s coast, and finishing with a flourish in Bilbao on Spain’s Northern shore. 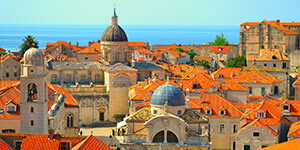 Board a culturally-rich late spring voyage beginning in Ljubjana, Slovenia with calls at the beautiful islands and ports of Portoroz, Rovinj, Pula, Zadar, Split, Hvar, Korcula, and Dubrovnik plus a visit to Plitvice Lake National Park. Journey to the “rooftop of the world” through Tibet, Nepal, and Bhutan. See colorful prayer wheels, exotic bazaars, golden Buddhas, splendid stupas, spectacular palaces, and view the mighty Himalayas including famed Mount Everest by air. 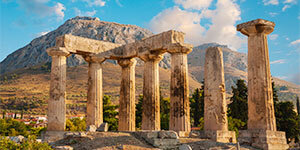 Enjoy an exclusive and educational family odyssey aboard an intimate sailing yacht to soak up the history, diverse cultural influences, stunning natural beauty, and archaeological treasures of Greece’s Peloponnese peninsula. 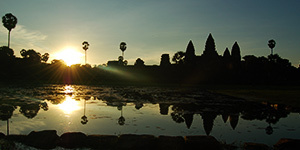 Witness the temples and monuments of legendary Angkor, including Angkor Wat, after a cruise of the Mekong River, one of Asia’s great waterways, venturing far from traditional tour routes to the fascinating but seldom-visited region between Ho Chi Minh City and Phnom Penh.